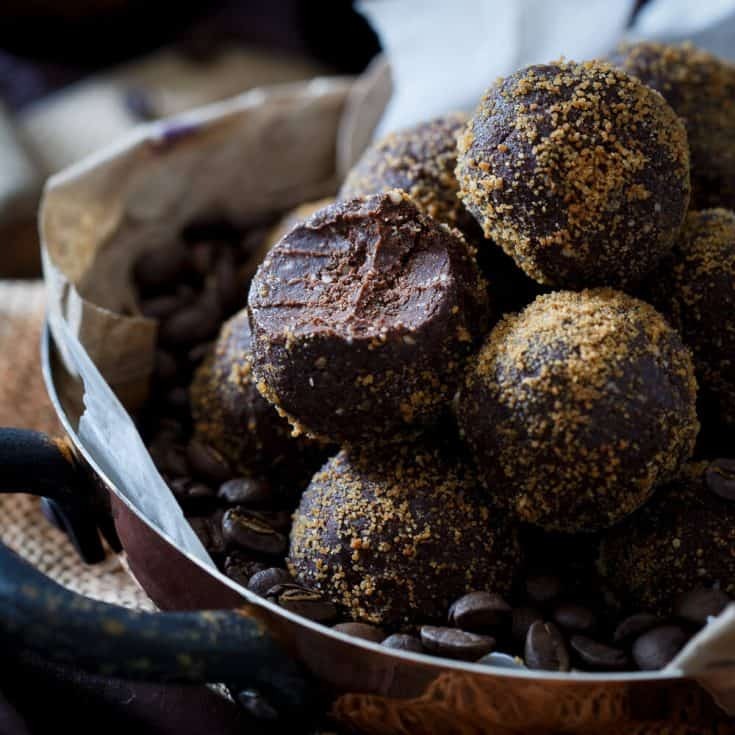 These grain free, gluten free dark chocolate Kahlua coffee bites are like biting into a decadent truffle except without the guilt. In operation “pantry overhaul” last weekend I realized I had approximately 7 bags of coconut flour, 5 bags of miscellaneous nut flours and 8 jars of nut butters (hi, I hoard Trader Joe’s cashew butter like it might go out of stock at any given moment) shoved into the bottom corners of my pantry. In an effort to feel less chaotic about my life, everything went into glass and plastic containers and all the excess went into boxes on the storage shelves in the basement. I’ve written a list of all the stuff down there that I now keep on the fridge so I’m reminded to not buy more when I finish whatever is upstairs and work my way through the stash. 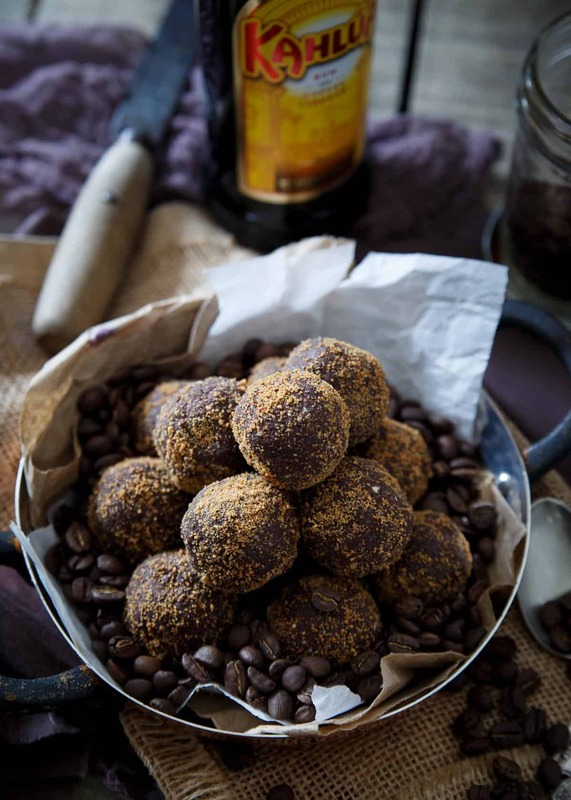 I use a tablespoon of coconut flour every night in the protein mug cake I make for dessert but at that rate, it might take a decade to get through the reserves so these dark chocolate Kahlua coffee bites were born. With coconut flour, cashew flour and cashew butter in these chocolaty little bites, I finally started putting a dent in all three reserve stashes. I wanted to go the Irish route and put some Bailey’s or some other appropriately festive spirit in them for this week but then I opened my liquor cabinet, realized I have none of said liqueurs and absolutely refused to buy another thing that would take up space in my cabinets after spending an entire weekend trying to get rid of all the extraneous things in my kitchen. So, let’s just pretend Kahlua is Irish. Or do we even care? It’s booze, I feel like the Irish aren’t picky in that department. If I’m forced to eat boozy, truffle-like chocolate bites for the next 3 months to wean down the supply, so be it. Whisk together the coconut flour, cashew meal, cocoa powder and sea salt in a large bowl. Add the remaining ingredients (except the coconut sugar) and mix until well combined with a spatula. Roll the mixture into balls in the palms of your hands and place on a parchment lined baking sheet. Freeze the balls for 10-15 minutes. 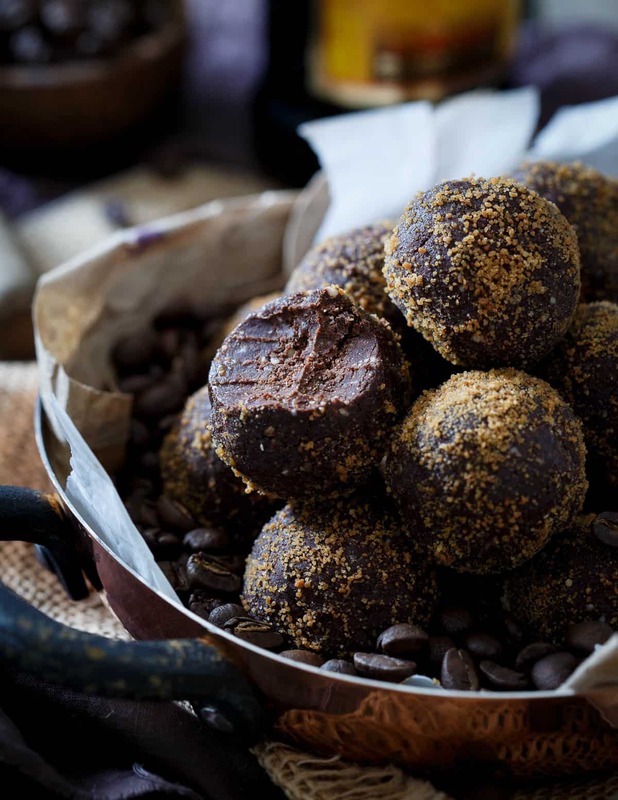 Remove from freezer, pour coconut sugar into a small bowl and roll the balls in the coconut sugar to coat. Well these boozy balls look about 100 times better than some I tried to make a while back. This is just the kind of treat I need to keep in the freezer for when my after dinner chocolate craving hits! this looks sooooo goood, also kahlua is my fav drink. These look amazing! Definitely a naughty but nice treat! Thank goodness for your overstocked pantry, cause without it, you may not have been able to make these amazing bites! I would be so happy to hoard coconut flour for these beauties!! Gorgeous! Um yasssss, I want all the truffles please! These were fabulous! What a great way to use coconut flour. Thanks again Gina for another winner! 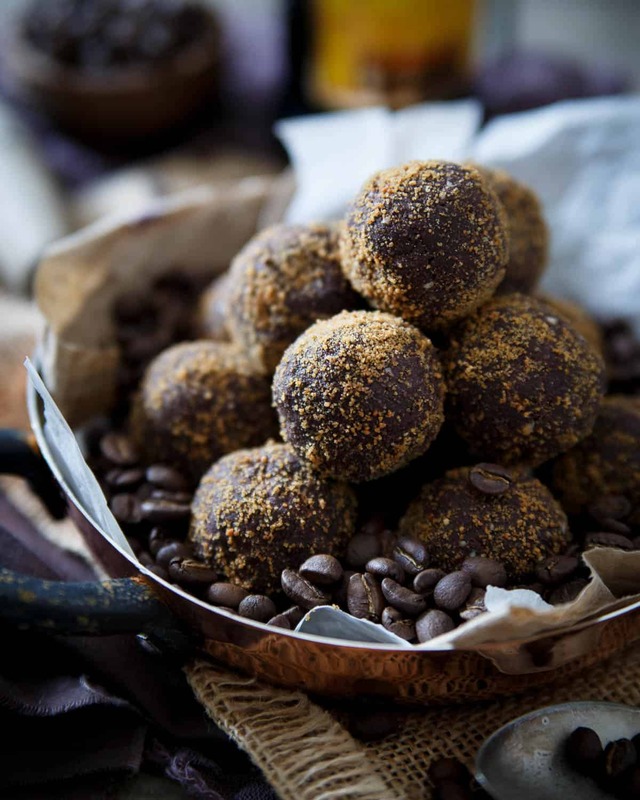 By adding some quality (again, quality) coffee to your chocolate recipe, it emphasizes the flavor of the chocolate, giving it an added oomph to bring its rating from 5 stars to Out-Of-This-World! You can just omit it and use a bit more coffee or use another coffee liquor that works for you.